CSE Global secured infrastructure projects worth S$84.8m in 4Q18, bumping up its full-year order wins to S$150.5m (+43.6% y-o-y). With the acquisition of Blackstar Services, CSE Global’s acquisition plans remain on track and are likely to contribute to earnings growth momentum. At current price, the stock offers a generous dividend yield of 6.5%. 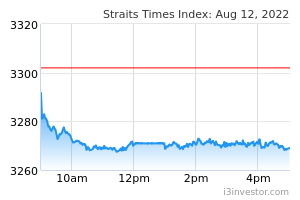 Given the positive outlook, we re-iterate BUY and PE-based target price of S$0.59. Bagging S$84.8m in order wins. 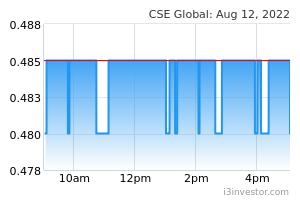 CSE GLOBAL LTD (SGX:544) secured infrastructure orders worth S$84.8m in 4Q18. As a result, 2018 order wins leapt 43.6% y-o-y to S$150.5m. The new orders include government contracts in Singapore for projects ranging from process control solutions and systems, telecommunication and security systems, to maintenance works. Acquired Blackstar Services for US$2.375m. Blackstar Services is principally engaged in the design and development of water treatment and disposal technology for the oil and gas market. Based on unaudited financial statements as at 30 Sep 18, the net tangible asset value of the membership interest of Blackstar Services is US$0.1m. While the oil rout in late-18 had fuelled creeping concerns over oil & gas services players’ earnings, the latest win highlights the merits of CSE Global’s diversified orderbook and implies that CSE Global can come out of the short-term oil price weakness relatively unscathed. In addition to providing added visibility to 2019 earnings, we also note the contract win involves government contracts in Singapore, which, in our view, may represent a substantial amount of the cumulative wins. This marks a break from the long hiatus since CSE Global’s last major tender win in Singapore which involved the ERP2.0, and signals increased tender activity within the domestic market, in line with the government’s Smart Nation initiative. Further wins within this space will add to CSE Global’s growth momentum in 2019. Latest acquisition complements product offerings. The hydraulic fracking boom brought with it the extensive use of freshwater to enable shale oil recovery. Increasing environmental concerns and commercial needs are driving producers to restore freshwater sources, culminating into a rush to seek wastewater treatment and disposal solutions. We believe the acquisition of Blackstar Services will allow CSE Global to ride on this secular tailwind and drive long-term shareholder value. Oil & gas services providers saw elevated valuations through 2018, in line with an oil price recovery. The weak oil prices in late-18 showed the fragility of these valuations and represent an excellent opportunity to scoop up operators who are able to align themselves to end-customers with value-add and innovative solutions but carry a limited balance sheet. We think there is scope for CSE Global to make accretive acquisitions that are complementary to its current product and services offerings. Historically, CSE Global concluded at least one accretive deal in the early part of a year and we expect this trend to continue. No changes to our forecasts. Risks include weak oil prices and volatility in foreign exchange rates. Re-iterate BUY and PE-based target price of S$0.59, pegged to peers’ average of 15x 2019F PE. Going forward, we see potential price upside, especially in 2019 as the impact of the synergies between Serba and CSE Global start to flow in, which could come in the form of JVs or possible outsourcing of work from Serba.